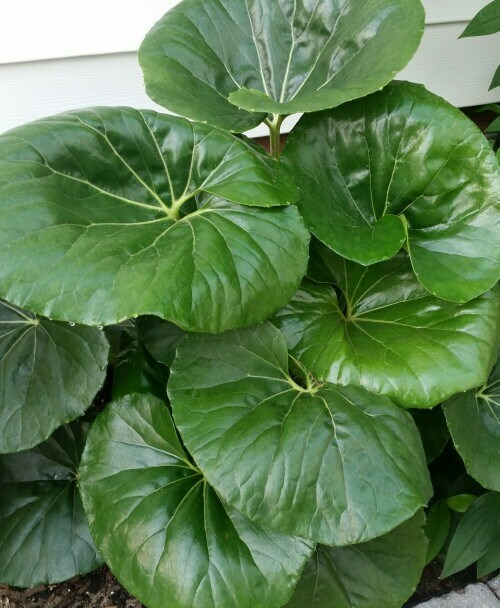 Large thick glossy green leaves in a large clump. Tall stalks with yellow flowers rise from the foliage in fall. Grows best in organic rich soil in partial to full shade. Can be planted in containers in colder areas.